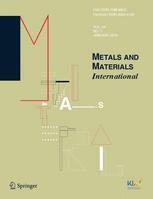 Metals and Materials International has retracted three papers from one author, due to suspicions of plagiarism and authorship issues. The three papers have one thing in common — the same lead author, Reza Haghayeghi from the Islamic Azad University in Tehran, Iran. Chang-Suk Han, a member of the engineering faculty at Hoseo University in South Korea, has had ten articles retracted at once because of duplicated data.